I am a die-hard nature lover and I always prefer lush green trees over concrete buildings. Beautiful sunsets, vibrant paddy fields, winding river paths, and gardens fills me with a feeling of contentment. I love to sit back relax, breathe fresh air and admire the beauty of nature with a peaceful mind. 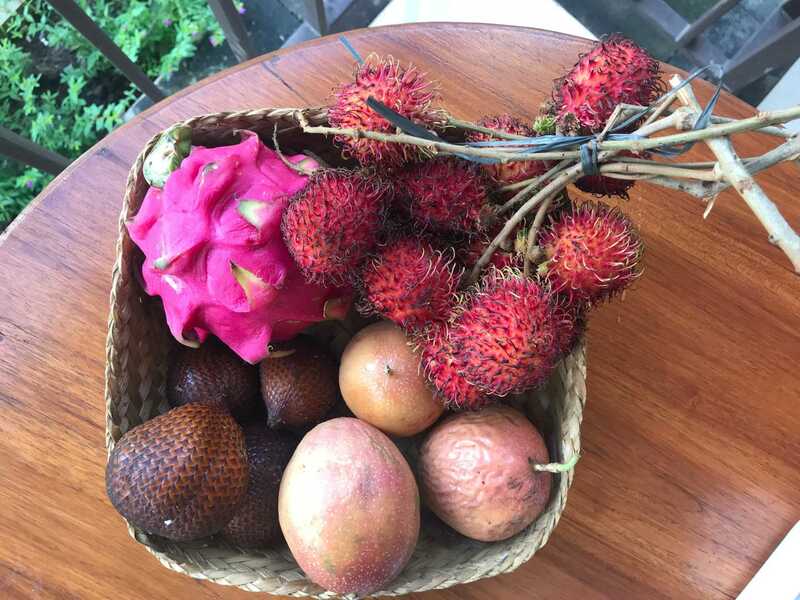 I had been to Bali, Indonesia in January and I am so excited to share my experience with you. 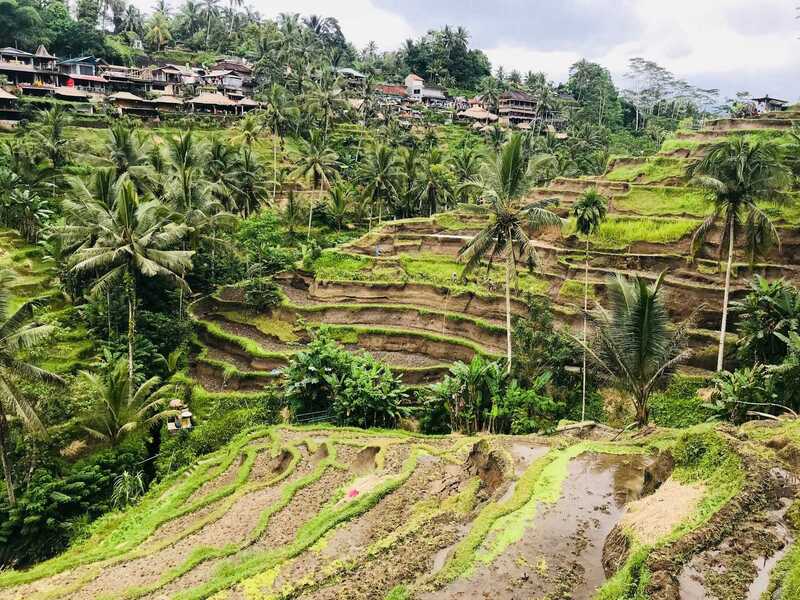 I always had Ubud on my bucket list, so we decided to head directly to Ubud. An hour's drive from the airport and you would be surrounded by enchanted forests and rice paddies which will surely make you feel blessed. 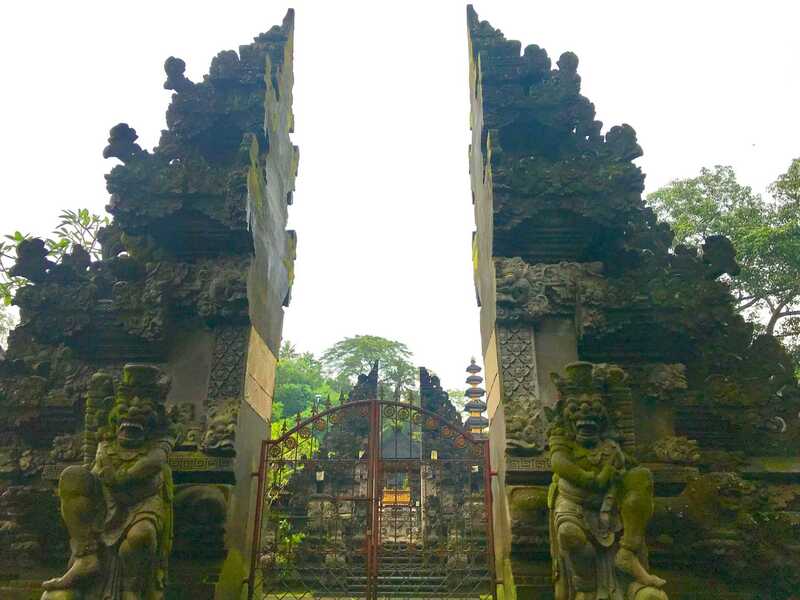 Ubud is the cultural heart of Bali with unique art, architecture, temples and royal palaces. 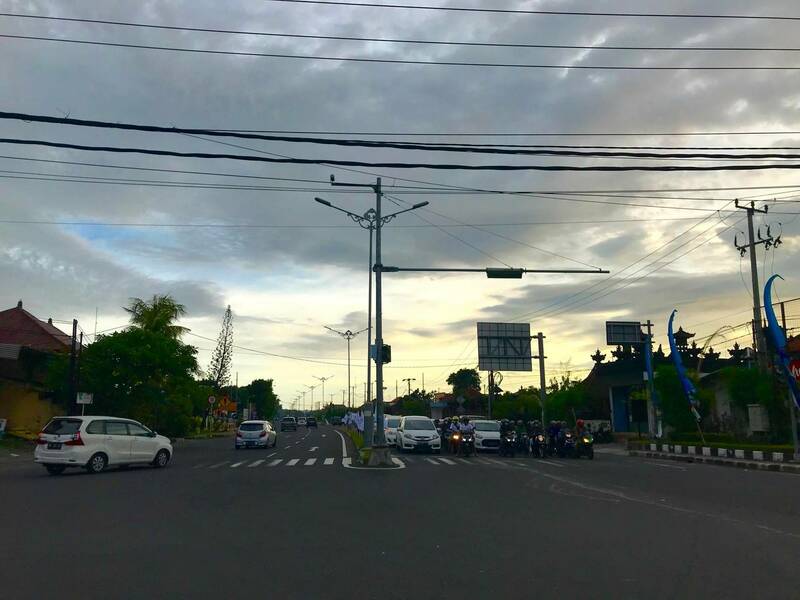 As we stepped outside of Ngurah Rai International Airport, the first thing we wanted to do was hop into our cab and head towards our hotel. The lush landscapes with beautiful flowers accompanied by gentle raindrops were an instant jet lag cure. 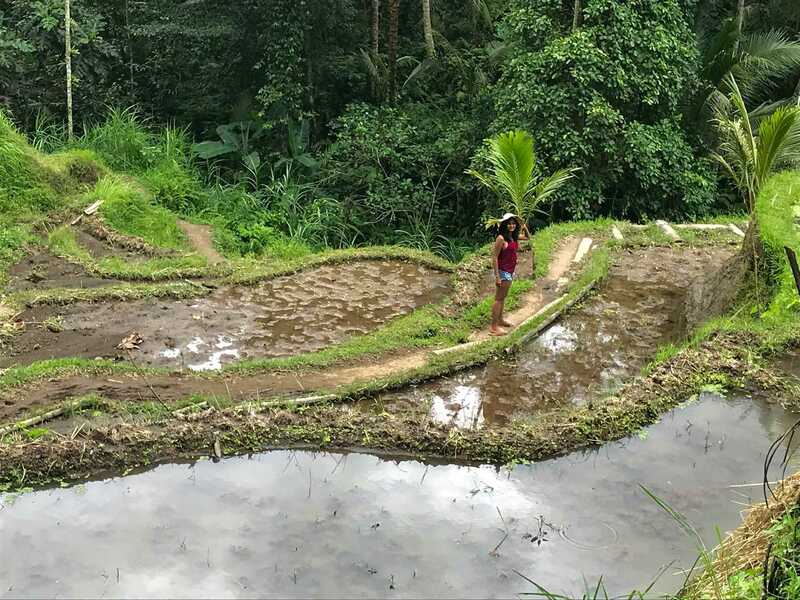 We were so engrossed in the beautiful views that the entire journey from Airport to Ubud fast-tracked from hours to minutes. As we entered Ubud the greenery gave way to bustling streets filled with tourists, artistic shops, restaurants, and temples. I was totally in awe of the view as we checked in our hotel. 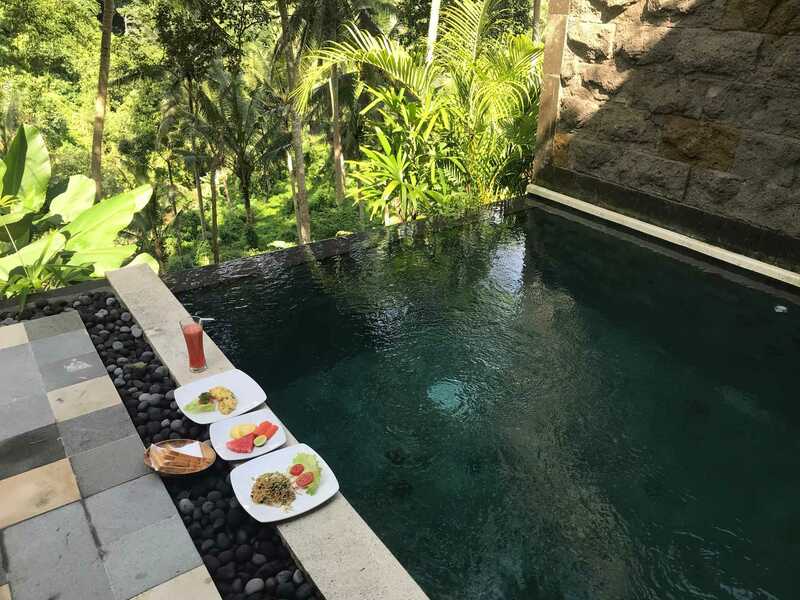 Bucu View recreated the charm of Ubud life and I was totally impressed with the arrangements of the hotel. 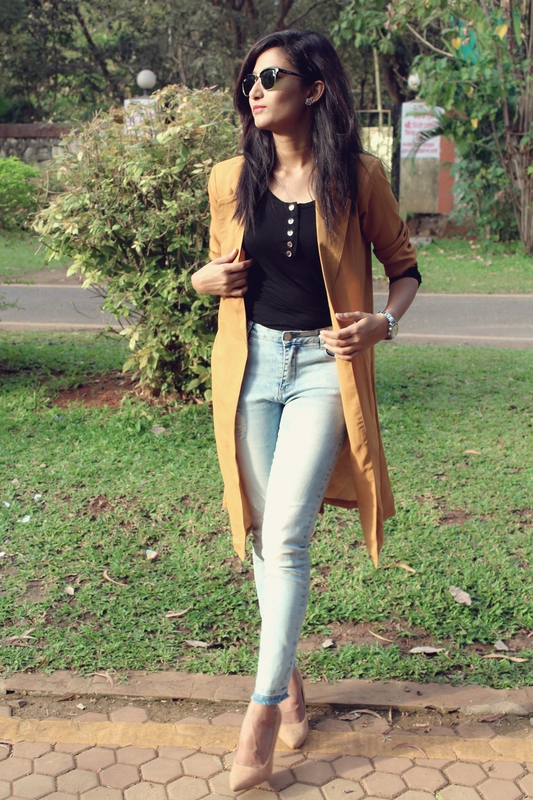 The entire stay made me feel very close to nature as all I could see was trees, beautiful flowers, pleasant sound of the flowing river, shrubs, and greenery all over. Coming to the currency of the country, Indonesian Rupiah (IDR) is widely accepted in Bali. Initially, the currency seems quite confusing as the amounts tend to be quite large. Prices are mostly given in thousands, for example, a pizza might cost you fifty thousand rupiah which is around 250 INR. We exchanged Indian currency for IDR on the first day but later switched to ATMs for withdrawal. It is always better to pay small bank transaction fee rather than paying a huge commission to exchange money. Usually, 1 INR equals to 200 IDR but when you exchange currency through money changers they may give a low currency rate which may be 150 to 160 IDR for 1 INR. We relied on ATMs as it is the best and safest option for getting local currency. Transport and sight-seeing are quite easy in Bali. We hired a bike which cost around 50 to 60 thousand IDR for a day and petrol is for 10 thousand IDR for a liter. 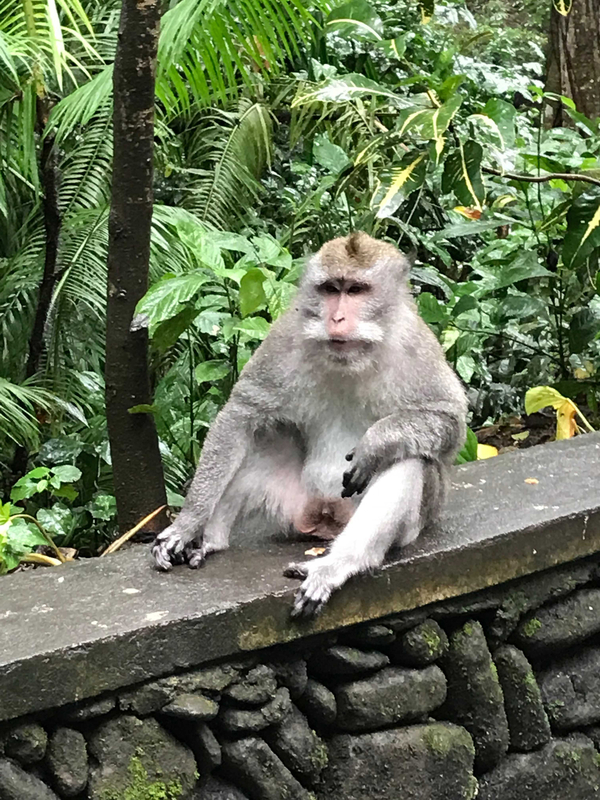 The first place we visited in Ubud was the sacred Monkey forest. 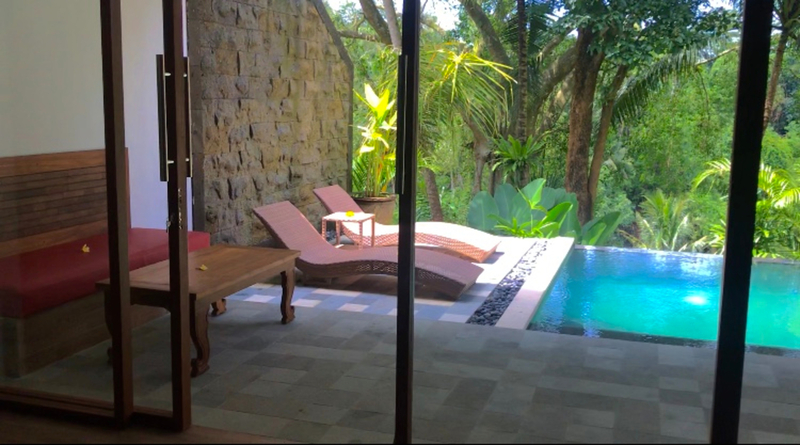 It is one of the most popular destinations in Ubud located near the center of the town. A beautiful walk through the leafy nutmeg forest with the sight of playful monkeys in their natural habitat, Swinging through canopies, lazing around or feeding on bananas is what we experienced here. I had seen beautiful pictures of layered rice terrace on Instagram and made my mind to visit this place. 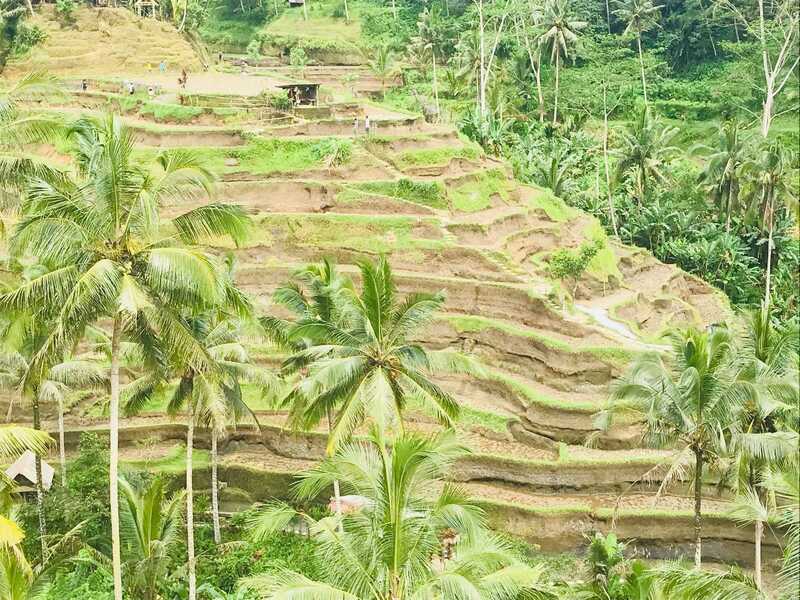 I was so excited to visit Tegallalang Rice terrace which is located in North of Ubud in a beautiful valley. It offers a scenic outlook of beautiful rice paddies on the slopes across the valley. Initially, we thought of enjoying the view from the top, but then changed our mind and hiked down to see what more it has to offer. It takes around 1.5 hr to explore the entire area. The high roadside location is quite cool and breezy with lots of art shops and cafes to chill around. Before I hopped on my plane I had already seen pictures of people swinging across a valley with a view of trees and canyon. 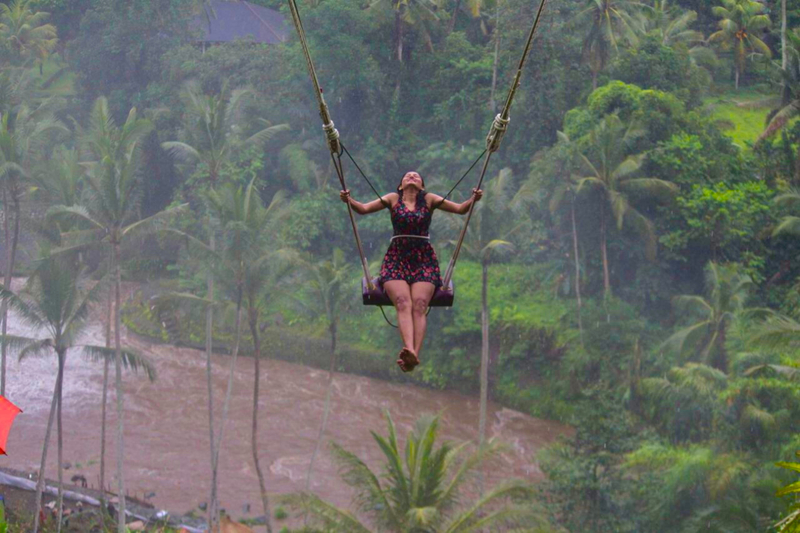 The main reason why I thought of visiting Ubud was ' BALI SWING'. After tons of research and spectacular photos of Bali swing, I made my mind to visit it no matter what. 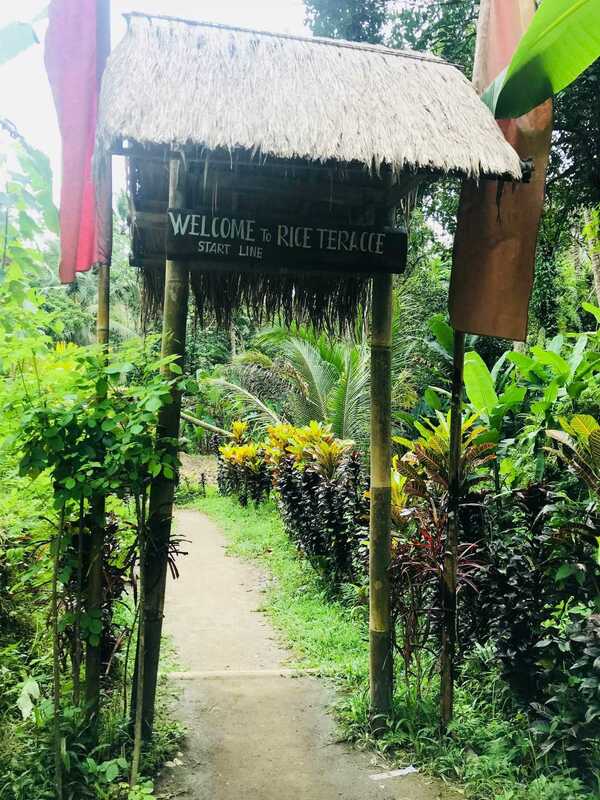 It is around 20 minutes ride from Ubud town. 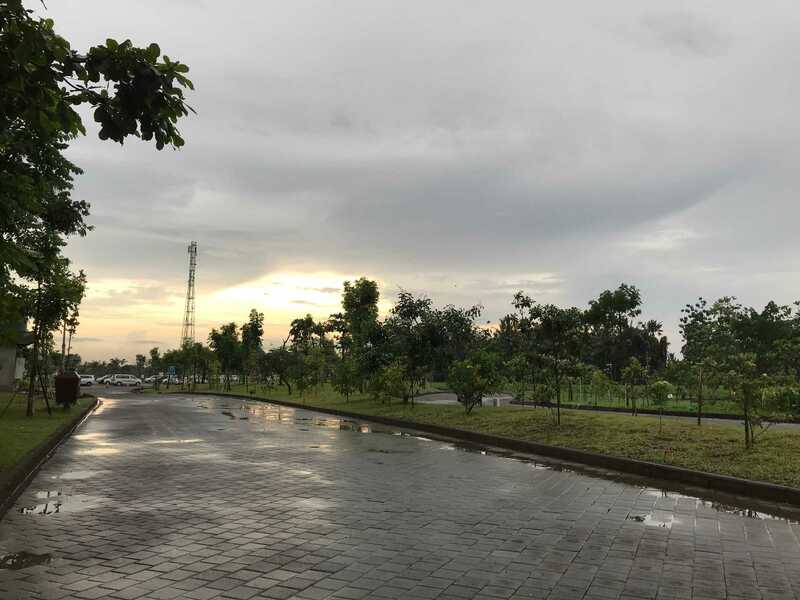 It was raining while we were leaving for Bali Swing but we didn't want to miss this chance. I was happiest when we reached there. It really feels great when your thoughts come into existence. I could see a swing hanging between coconut tree, high atop a hill. It was thrilling as well as addictive experience, swinging with a sweeping view of Ayung river, trees, and mini waterfall. There are five swings of different heights. 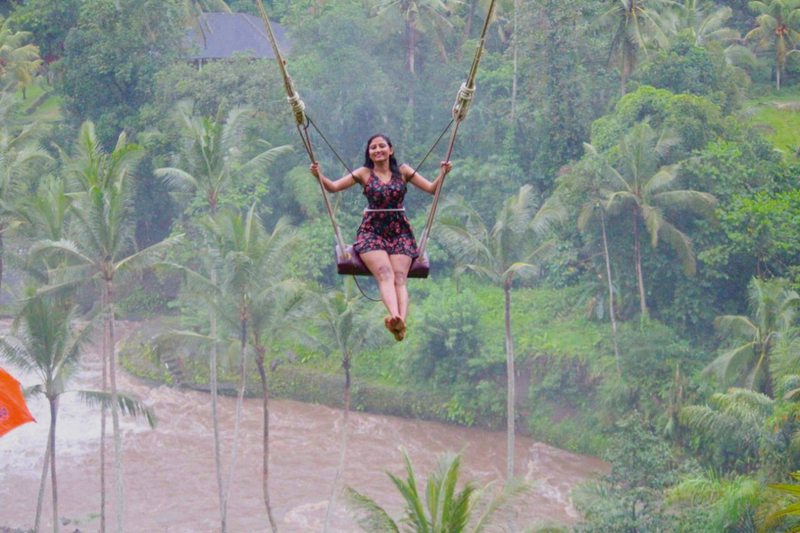 No matter how I excited I was when I went on to the swing the sight of the valley did scare me as there was no other harness except a rope around the waist. The moment I started swinging, I could feel the butterflies in my stomach. I could feel as if I am flying above the trees. The best part is you can stay there for hours, swing, grab some drinks and food and have the fun entire day. Our next destination was Campuhan ridge walk. 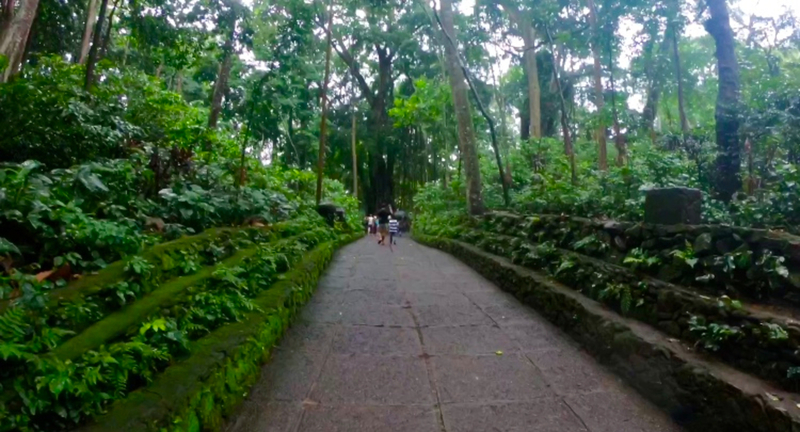 It is a beautiful paved walk along the campuhan ridge with the scenery of forests. We went hiking on this scenic location with cool air with a view beautiful landscapes and moments to cherish for the lifetime. Ubud has beautiful hidden waterfalls and Tegenungan waterfall is one of them. Unfortunately, we could not visit this beautiful waterfall due to heavy rains. 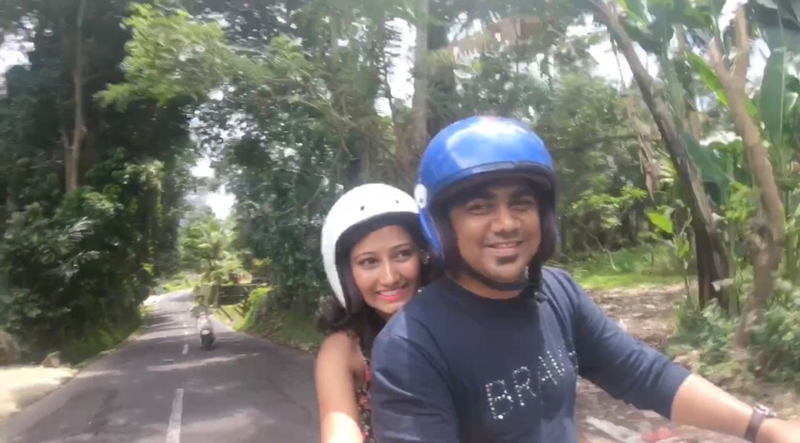 ( that made me very sad) It was raining continuously for 2 days in Ubud so we could not explore other must visit places. 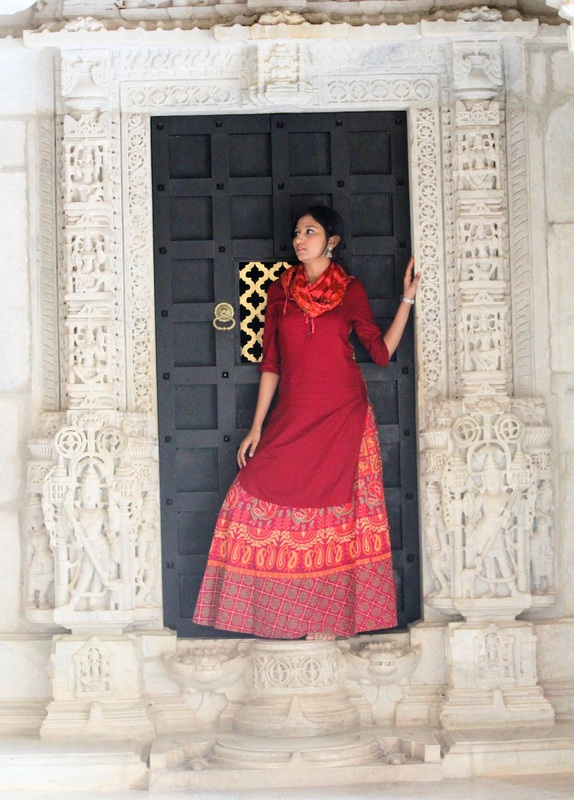 Instead, we explored some nearby temple, shops, bought fruits from locals and spent some amazing time in our hotel. 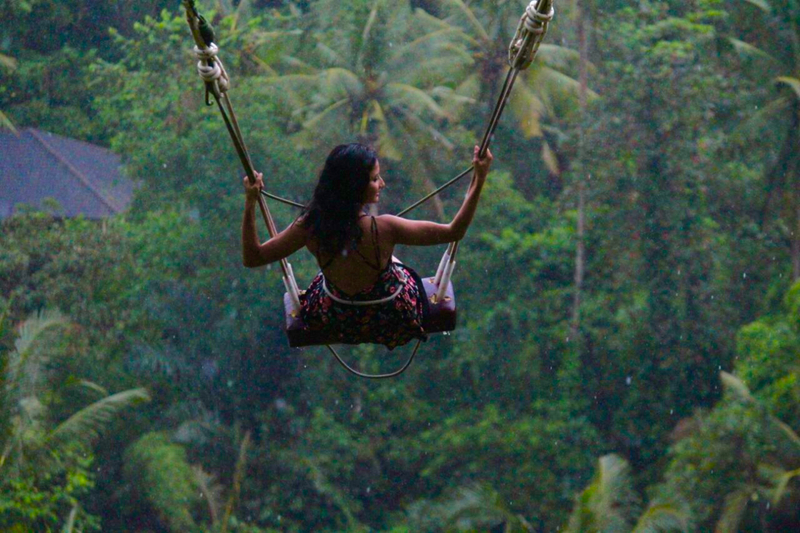 Ubud is a cultural and artistic paradise and enhanced by magnificent vistas. I absolutely fell in love with this place and wanted to stay there forever. After spending few days in Ubud it was time to move towards Kuta. 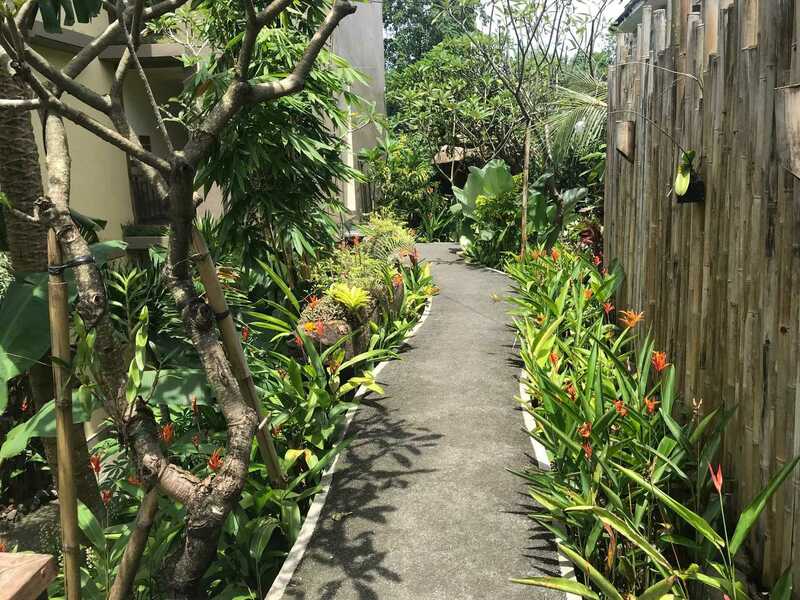 Our Ubud experience was full of peace and tranquility. Hope you guys love this post. I would be soon sharing my experience of Kuta and Nusa Penida. Stay tuned!